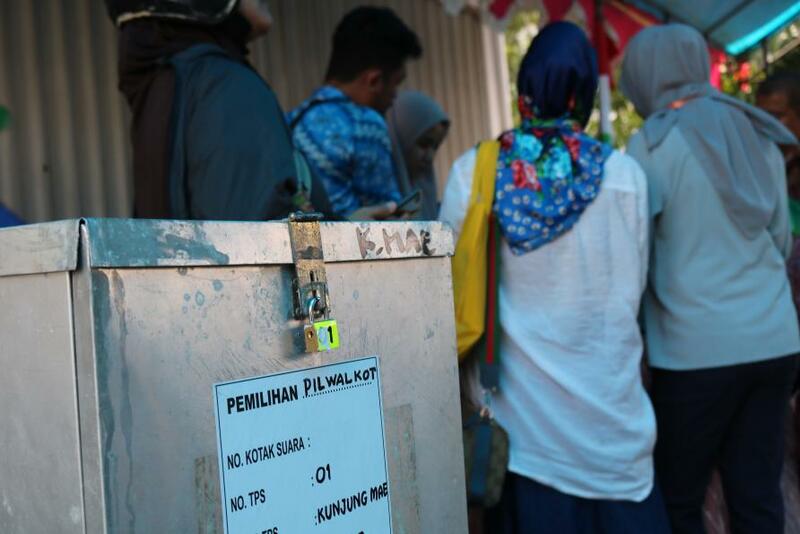 On April 17, Indonesians go to the polls for the first-ever simultaneous parliamentary and presidential elections. 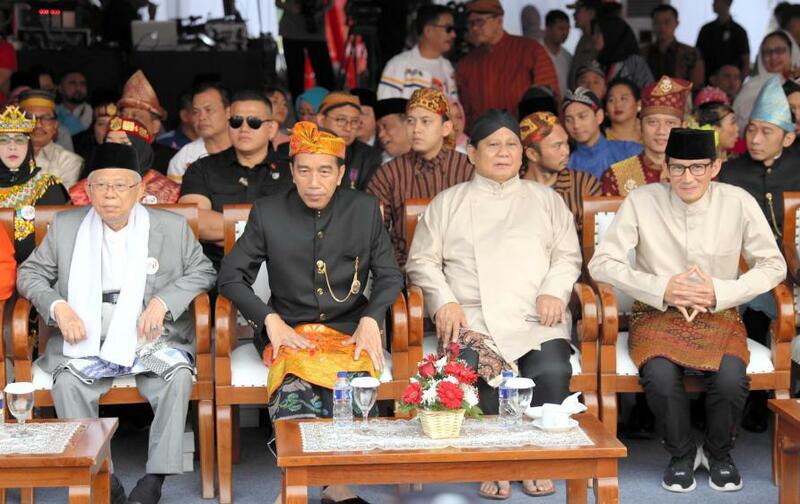 Most eyes will be on the presidential contest, a rematch between the incumbent Joko Widodo (known as Jokowi) and former General, Prabowo Subianto. This will be the culmination of a long election year, which began with regional and provincial elections in mid-2018. 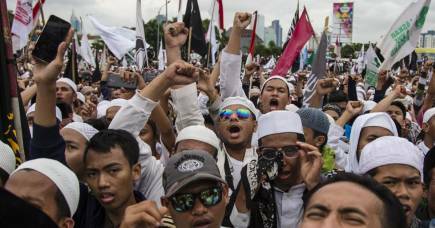 There have been concerns about the effects of Islamic politics on Indonesian democracy, particularly given the mass rallies against the Christian and ethnic Chinese politician Basuki Tjahaja Purnama (known as Ahok) in the eventful Jakarta gubernatorial election of 2017. 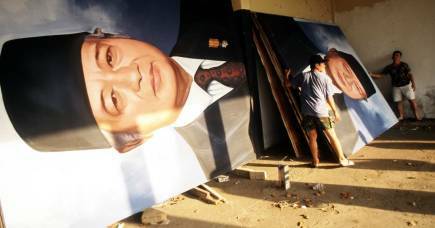 It has been two decades since Indonesia’s first post-New Order elections of 1999. 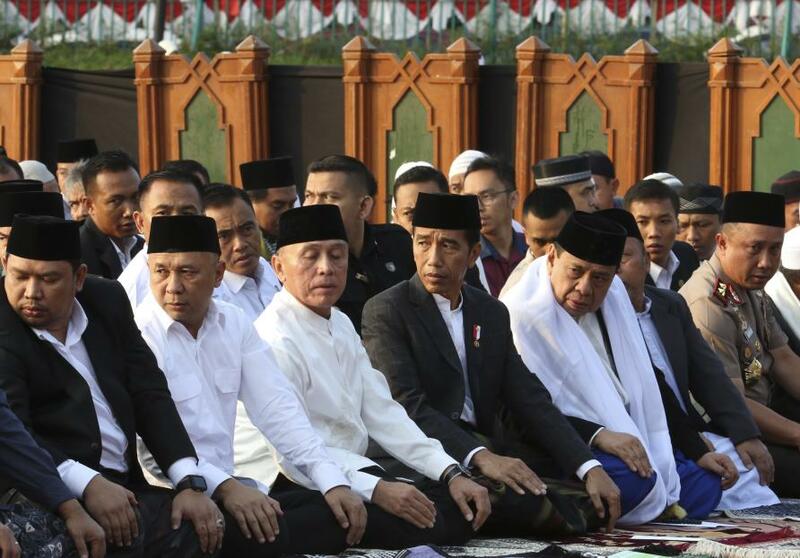 So, it is useful to understand both the Jokowi–Prabowo rematch and concerns about religious sentiment in the context of broader Indonesian democratisation. The first contest between the two, in 2014, was frequently billed as one between ‘a new outsider-reformer’ and ‘an old insider-reactionary’ – not least among Indonesia-watchers in Australia. Such a characterisation clearly does not hold now, if it ever really did. After all, why challenge a system that made his rise possible in the first place? One might even say that Jokowi has invigorated that system, offering hope for change while doing relatively little to address structural power and wealth inequalities, in spite of vaunted health and poverty alleviation programmes. So ill-prepared was he to play the money-politics game this time, in spite of his family’s considerable wealth, that he had to forego any intention of picking a conservative Muslim cleric as a running mate. Such a move would have underscored his credentials as the choice of the ummah (community of believers). 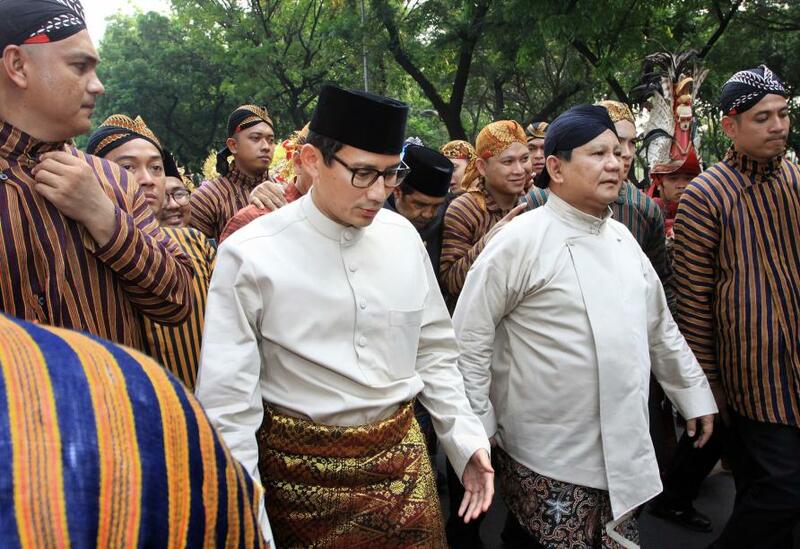 Instead, businessman Sandiaga Uno was chosen, more for his money than youthful looks and professional demeanour – although these are expected to appeal to younger members of the urban middle class. It is ironic, to put it mildly, that Indonesian democracy has become too expensive for Prabowo; the one-time son in law of former president Soeharto, whose family accumulated billions of dollars during three decades in power. For Prabowo, there is an incentive to push for a less unwieldy democratic system where alliances are fluid and shift easily. Thus, he has indicated a preference in the past for the elimination of direct elections for local heads of government and for the presidency itself, which many observers fear would be steps toward more authoritarianism. Moreover, social media is inundated with content that reinforce ideas that Jokowi is, rather fantastically, a secret member of the banned Indonesian Communist Party as well as being of Chinese descent. The purpose is of course to direct, to the president, the traditional Muslim animosity towards ‘atheistic communism’ and an ethnic minority seen to have dominated the economy at the expense of so-called ‘indigenous’ Indonesians. Jokowi has tried to deflect such criticism by shoring up his religious credentials, most disappointingly for some of his followers, by recruiting a highly conservative religious cleric as running mate, Ma’ruf Amin. Yet it would be an exaggeration to say religious identity has dominated the election campaign. Many of the grievances against the status quo are expressed in a political language other than class, most evidently that of religion. This is because there is a longstanding self-narrative that the ummah has been systematically marginalised from the colonial period all the way to the post-colonial authoritarian and democratic periods due to the machinations of state and business elites. In a nutshell, Indonesia’s long election year has been rarely about contests between outright reformers and outright reactionaries, given the continuing dominance of oligarchic interests. Nor have they been between outright secularists and outright Islamists. This article was co-published with Election Watch and the Indonesia at Melbourne blog.